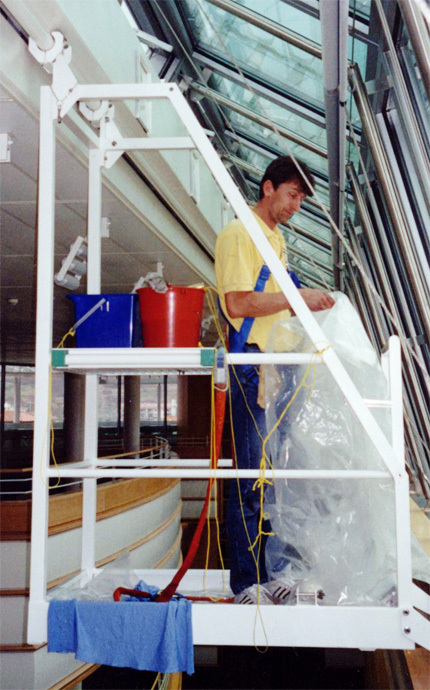 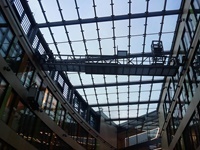 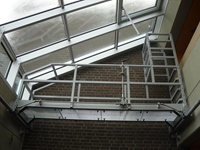 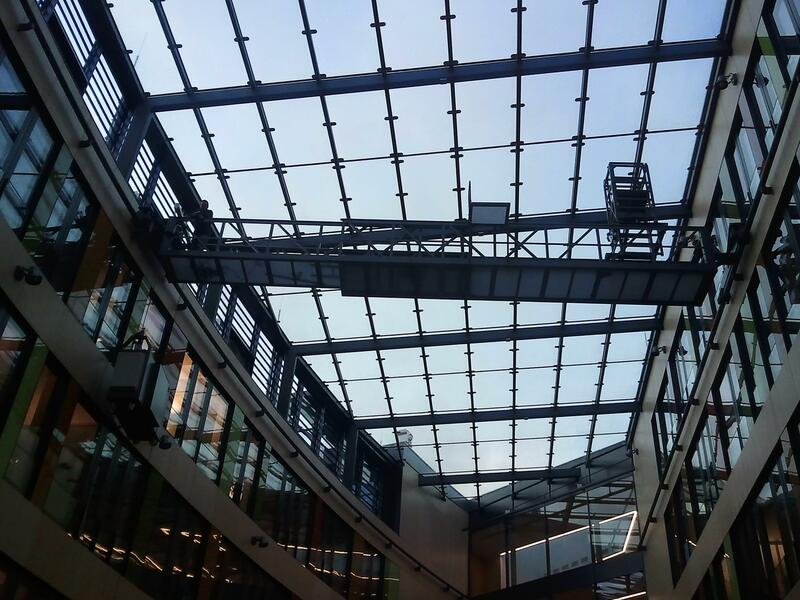 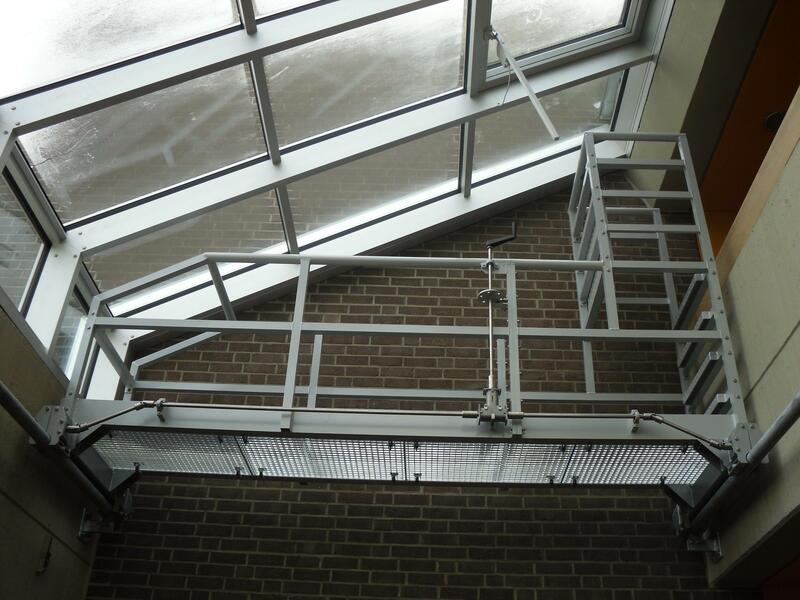 Travelling maintenance gantries are installed primarily for access to inside and outside surfaces of glass roofs. 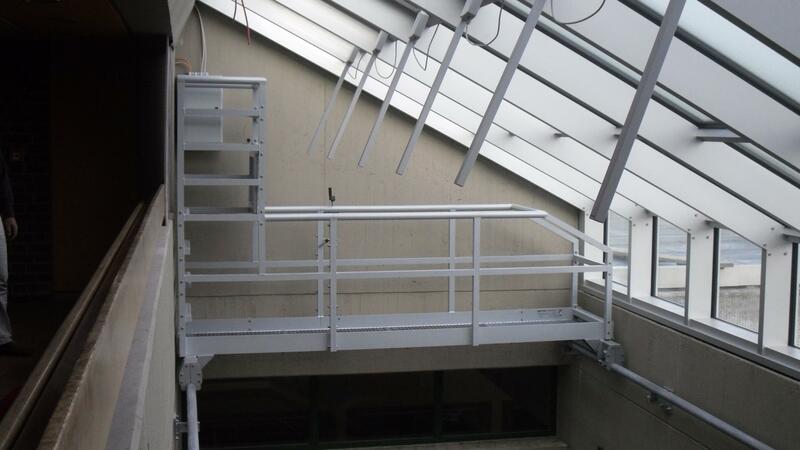 Maintenance gantries are tailor-made for each application and various options and features are available. 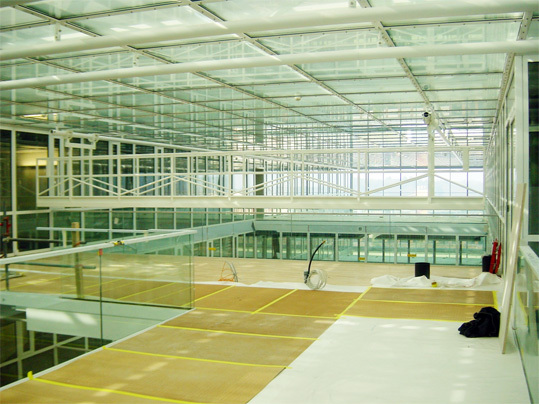 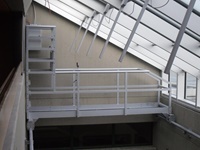 Special features include telescopic gantries for tapered or elliptical floor plans and gantries incorporating rising platforms to reach higher surfaces. 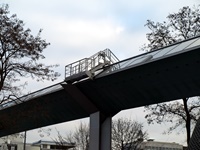 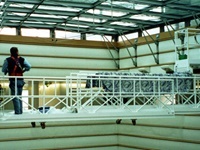 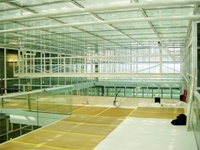 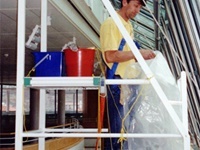 Some gantries are used in conjunction with a suspended cradle to reach areas below the level of the gantry.